Ten years ago, working an office job meant waking up at the same time each morning, putting on a pair of crisp slacks, and spending eight or more hours behind a desk. Today, working an office job looks more like sleeping in, skipping a shower, and watching Netflix from the comfort of the couch with a laptop sitting right where it’s intended: in your lap. The concept of working from home isn’t new, but it is becoming more popular. According to a recent Gallup report, 43 percent of employees work away from their teams at least some of the time. Sixty percent of companies currently offer their employees telecommuting opportunities — a 300 percent increase from 1996. Technology, of course, plays a big part in this change. Video calls, online collaboration tools, and cloud-based file storage applications have made it possible — dare I say easy — for employees to work from virtually anywhere. And employees are taking note. According to Gallup, 37 percent of employees would change jobs if it meant gaining the ability to work from wherever they want at least part of the time. On top of that, a recent survey conducted by TSheets found that 42 percent of remote workers would turn down a job offer if taking the job meant they could not work remotely. As far as employees are concerned, the benefits of remote work are clear. The TSheets survey found that one in four remote employees works away from the office every single day. The majority of them — 75 percent — work remotely three or more days each week. While most of these employees — nearly 58 percent — prefer to work from home, others can be found working from a coffee shop, shared workspace, or even an RV. Additionally, more than half of the surveyed employees reported increased free time and healthier work/life balances as a result of working remotely. The vast majority of these employees report an overwhelmingly positive impact on things like mental and physical health, managing finances, and maintaining family and social lives as well. But employees aren’t the only ones who see big benefits from remote work. For employers, embracing the idea of a remote workforce can be a little scary. After all, employing remote workers comes with its own set of challenges. If your remote employees happen to work across state lines, you could have to navigate new tax and payroll laws. Additionally, you’ll need to invest in certain technologies to ensure your employees have the tools they need to communicate and work effectively both on- and offsite. Most importantly — and potentially hardest of all — you have to trust that your remote workers are, well, working even though they’re not in the office. Fortunately, 53 percent of remote workers surveyed by TSheets happily asserted their productivity has noticeably increased since they started working remotely. According to the previously cited Gallup report, employees who spend at least some of their time working remotely are more engaged at work than those who don’t ever work offsite. The report goes on to explain that interacting with coworkers face-to-face unleashes a feeling of creativity, connectedness, and engagement that video calls simply can’t match. Remote employees tend to agree, according to the TSheets survey. While the majority of them disagreed that working remotely prevents them from getting to know their coworkers or causes them to feel disconnected, the margin was slight. In fact, 20 percent of remote employees admitted to sometimes feeling quite lonely. Every rose has its thorn, and nearly 35 percent of remote workers in the TSheets survey said most people underestimate the many challenges that come with working offsite. These challenges include blurring the line between “working” and “not working,” self-motivating, and struggling for recognition. Additionally, the TSheets survey found that nearly 30 percent of remote workers end up working more hours than they would if they were in the office. A quarter of workers said they have difficulty disconnecting from work at the end of the day. Plus, 29 percent of employees worry whether their coworkers believe they are pulling their weight, and 13 percent said they struggle to help their managers understand their workloads. A combined 35 percent of remote workers said they are often skipped over for meetings, passed up for promotions, and even paid less than their onsite counterparts. While it’s true that working remotely isn’t all sunshine and daisies, it’s also true that remote work benefits employees’ mental and physical health — not to mention their productivity. If you’re ready to embrace this new way of working, there are a few steps you can take to ensure your remote workforce is successful. Despite the drawbacks, employees still want to work remotely. More than 32 percent of remote employees wouldn’t give up remote work — even if they were offered a hefty raise. More control over their own schedules is one of the top reasons employees enjoy remote work. If remote work isn’t an option for your company, offering flexible schedules could be the next best thing. Employees with flexible schedules report better work/life balance, reduced burnout, and improved productivity, while employers see benefits like decreased employee turnover, reduced absenteeism and tardiness, and increased appeal to top talent. Cloud-based project management software, communication applications, and video call technology are essential for remote workforces. Just don’t forget to invite your offsite workers to meetings! No employee wants to feel isolated. Collaboration technologies offer remote workers the opportunity to build connections and collaborate with their teammates — even when they’re not in the same room. Eliminate the blurred line between work and play by establishing clear policies and boundaries when it comes to working remotely. Your employees should know exactly when they’re expected to be in the office and when it’s okay to work from home. They should know if they need to be available during normal working hours or if they can spread out their workdays. 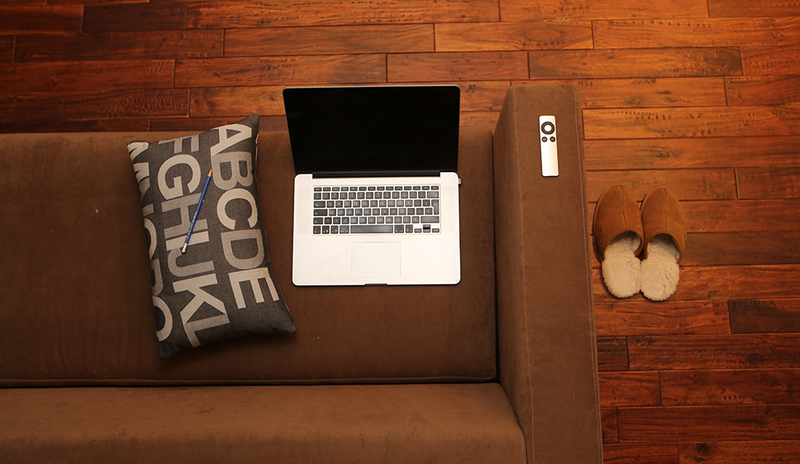 To recap: Remote work is on the rise, and for employees, the benefits are clear. For most, the idea of ditching the daily commute is compelling enough to outweigh potential challenges like loneliness and lack of motivation. Meanwhile, employers are drawn to the prospect of increased productivity, but they’re concerned about potential inefficiencies in collaboration. Fortunately, remote teams can be just as collaborative and successful as teams who see each other every day — if not more so! — as long as they are managed and supported correctly. Myranda Mondry is a copywriter and researcher for TSheets by QuickBooks. Myranda Mondry is a copywriter and researcher for TSheets by QuickBooks, an employee time-tracking and scheduling software used by businesses worldwide. Based in the up-and-coming tech community of Boise, Idaho, Myranda has a journalism degree from Boise State University and a serious passion for helping small businesses succeed. In her spare time, she can usually be found curled up with a good book or hiking Boise's famous foothills.